When you imagine Japan, the Japanese kimono probably comes to mind. 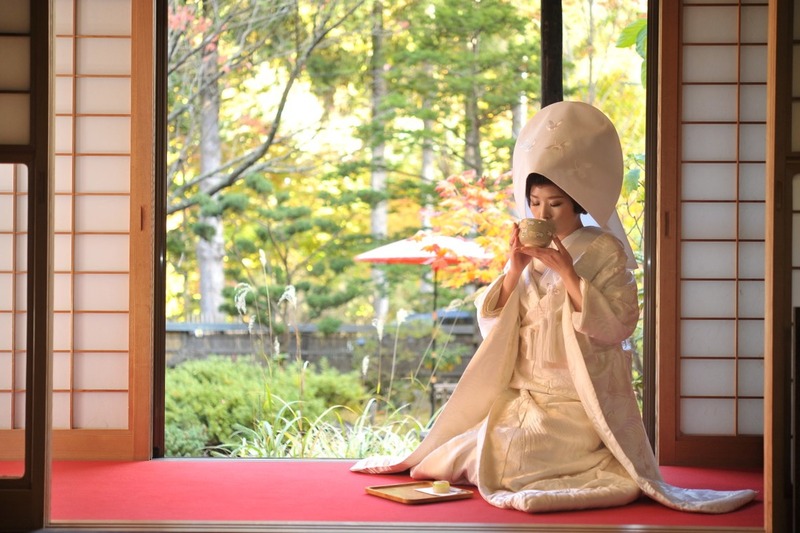 It’s a beautiful part of Japanese culture, and essential for Japan aficionados. But what exactly is a Kimono? What are the different types, when is it appropriate to wear them, and how do I go about renting one? I’ll be honest: Kimono dress can be complicated and a little pricey. But if you are ready for the full Japanese experience, kimonos are worth it. 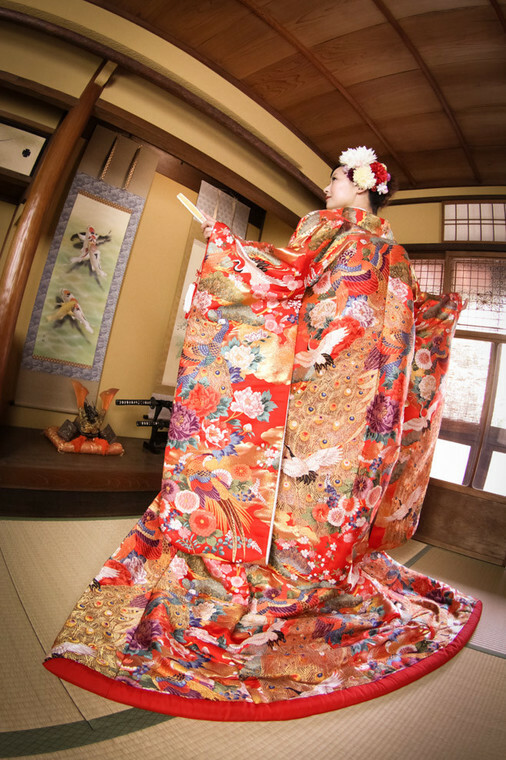 There is a variety of Kimono types, each with their own design and function. Some are specific to weddings, while others can be used for graduation ceremonies, tea ceremonies, or even casual outings. Keep reading to see the different kinds of Kimono dress. Several examples of a Shiromuku. A white color motif and beautiful headpiece. 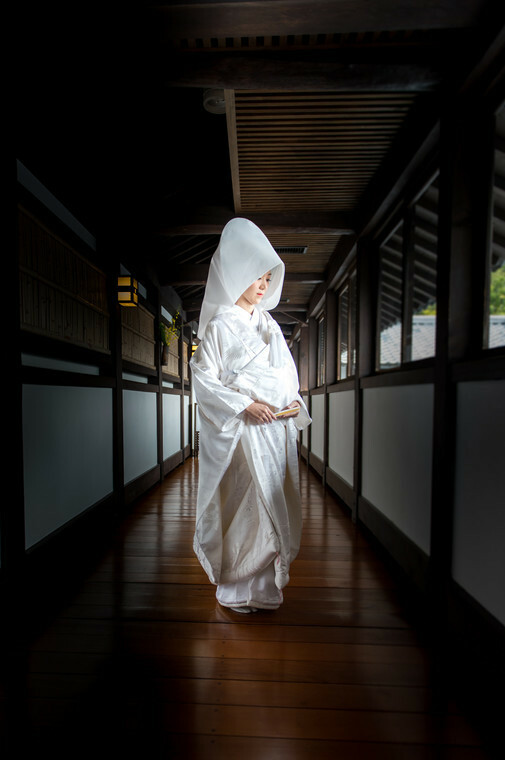 This white wedding kimono is worn by brides at traditional Japanese weddings at sacred locations. It reflects purity and cleanliness--symbolizing a new beginning with the groom. The white design gives off an elegant feel, and is perfect for serene photos at a traditional Japanese tea house, botanical garden, or other traditional scenery! 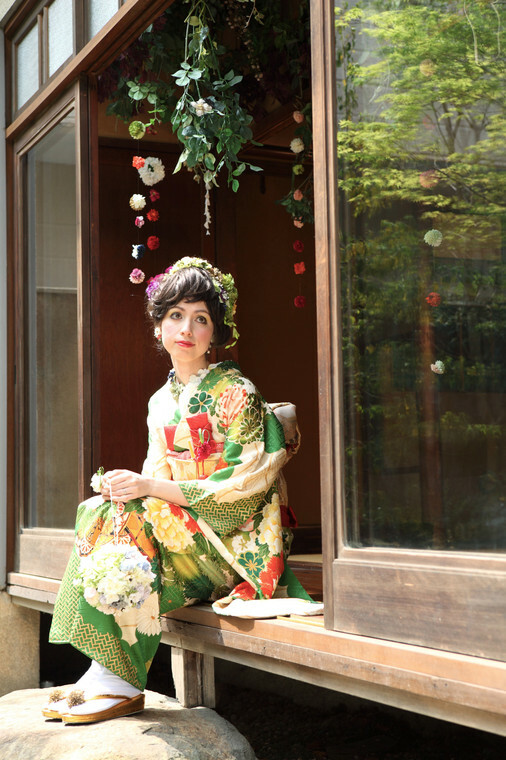 The woman in this picture is wearing a Uchikake. This is another type of formal kimono dress for the bride. This is worn for the wedding ceremony, and is changed out of for the wedding reception. The coat is covered with symbolism: cranes, flowers, and pines for good luck. 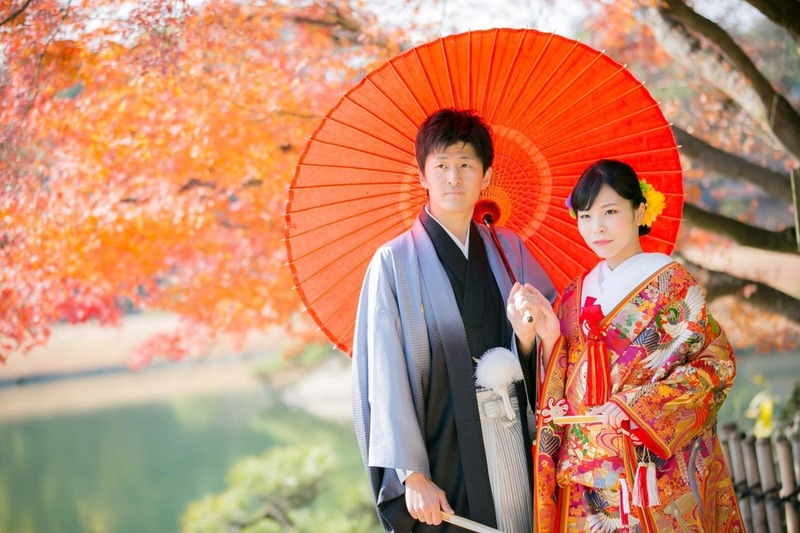 This is the most popular type of wedding kimono, generally reserved for the wedding reception. The name is literally translated as “swinging sleeves,” and has beautiful patterns that cover the kimono back to front, and across the sleeves. Note the beautifully long sleeves and brilliant designs. 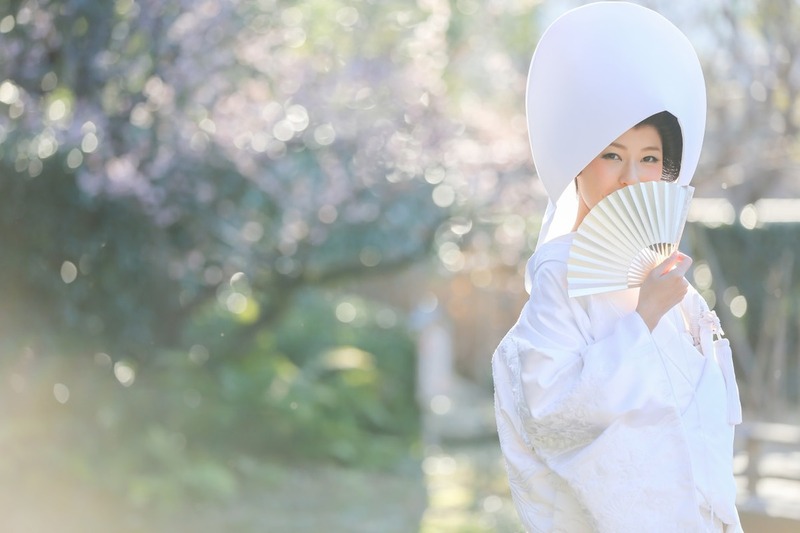 You may be wondering: “What is the difference between a Uchikake and Hikifurisode? They look the same!” It can be quite difficult to tell the difference. The main difference between a Hikifurisode and a Uchikake is if you can see the kimono sash or not. The Hikifurisode shows off a beautifully tied sash on its back, while the Uchikake hides its back-side sash to show off its gorgeous patterns on the back. The backs are completely different! You’ve chosen your ideal type of Japanese kimono and are excited about renting one out-- that’s great! But one common thing that catches tourists and expats off guard is the inner garments. 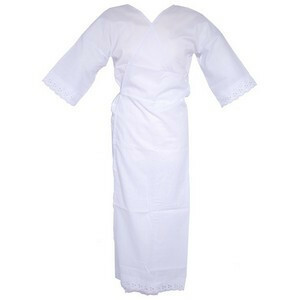 As you can see, this undergarment has a wide opening at the front and the back of the kimono. This is important for women’s kimono. You might be able to get away with a normal T-shirt for mens’ kimono. This may seem odd to tourists, but it’s a different story for Japanese people. 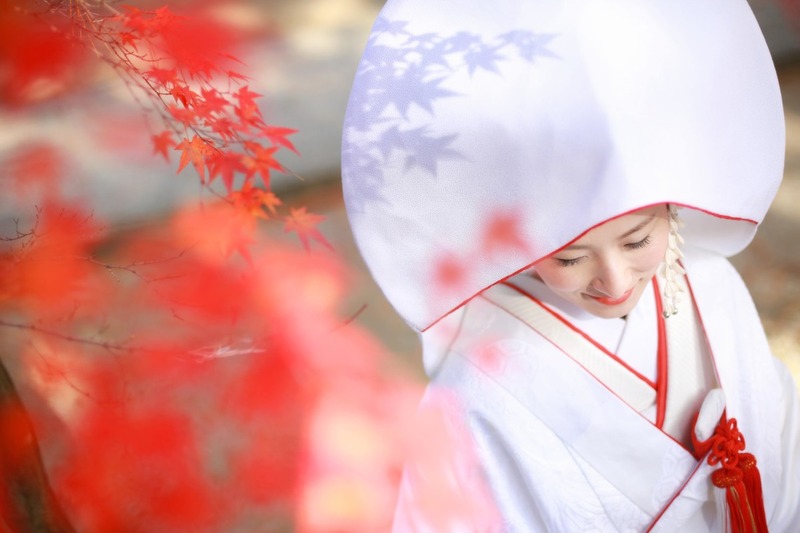 Kimono are worn at numerous times throughout one’s life, so it’s reasonable to purchase these garments. But as a foreigner, what is one to do? Some rental shops include kimono garment rentals. And often-times, undergarment purchases are included in the rental cost. Check with your kimono rental shop to see if undergarments (including tabi socks) are included in the price. Otherwise, you might end up paying a few-thousand yen more than you initially budgeted! 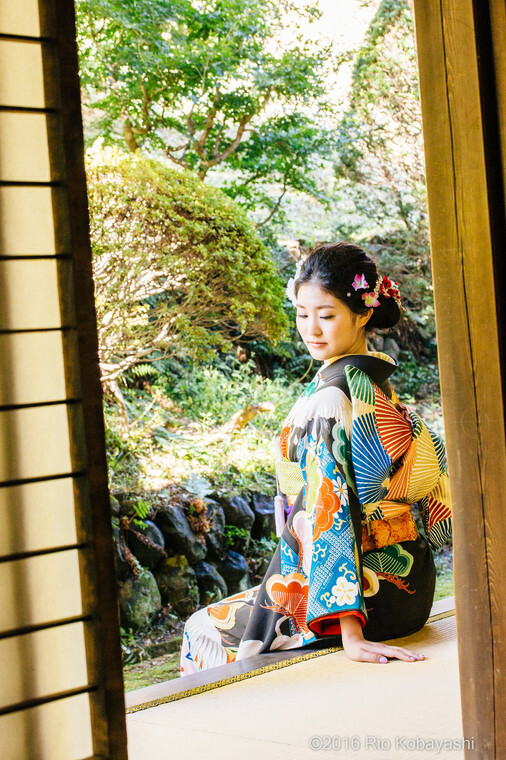 Kimono rental is growing in popularity, and is very accessible in tourist areas. Using search engine keywords like “Tokyo Bridal Kimono Rental” will provide a wide array of choices to choose from! 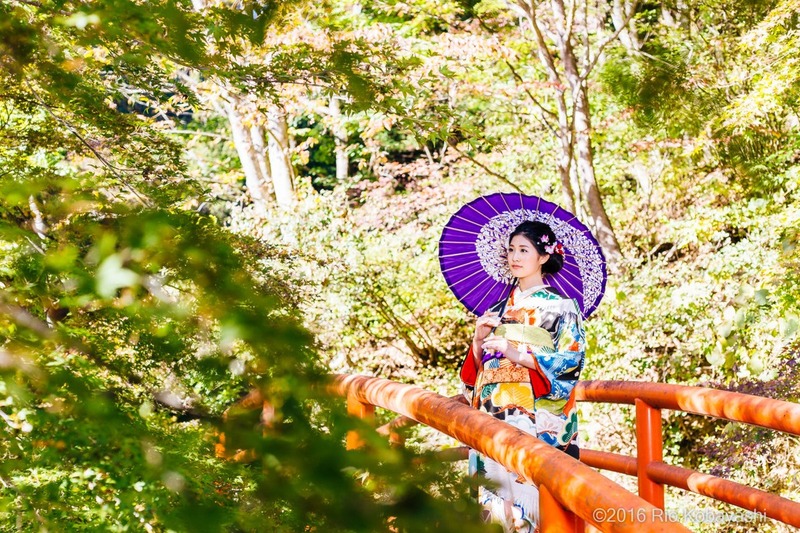 If you’re booking a photo shoot with us, some of our photographers have packages with kimono included— convenient and simple for you. For Kimono rentals in the Tokyo Area, we recommend AKI Kimono Rental. Check out their catalogue below!